At our TechCrunch Disrupt NY Hackathon today, Andrew Kae and Xiaoan Yan presented one of the most useful hacks of the day: a new way to find good beer. Imagine you’re in the store and looking at a giant display case with beers you’ve never heard of. Which one should you buy? 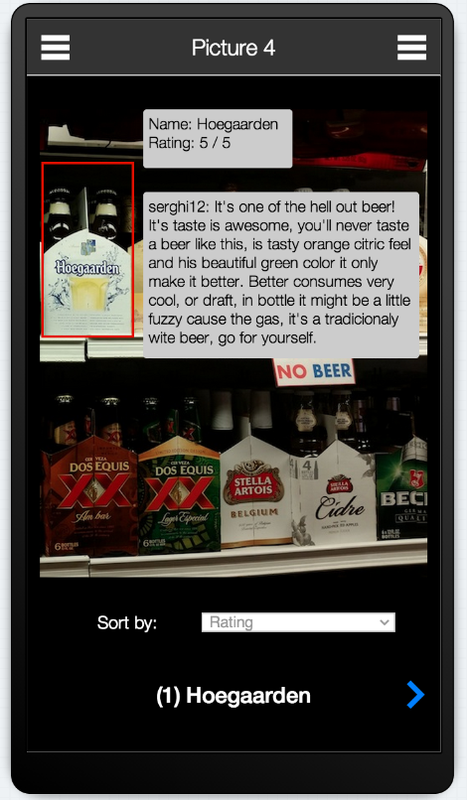 WhichBeers uses image recognition and a database of beer reviews to give you a personalized recommendation. Kae has a Ph.D. in computer vision from the University of Massachusetts Amherst and was previously at Cornell. Yan is working on a masters in Natural Language Processing at Cornell right now. While both worked with the same advisor at Cornell, the two only met at the hackathon. The app would allow you to take a picture and then annotate it with recommendations. Ideally, it would learn your preferences over time and then pull relevant reviews from sites like BeerAdvocate and similar beer review sites. Kae told me that one problem the team faced — and why it could’t show a live working demo today — was that there just isn’t a huge image dataset for beer yet, which makes it harder to be very confident that the six-pack it recognized was really Sierra Nevada’s Pale Ale and not Bridgeport Brewing’s Hop Zar. Another factor that makes the image recognition harder is that many stores also put their beers into large refrigerators with glass in front of them, which adds lots of shadows and reflections that most image recognition algorithms don’t handle well. To solve some of these issues, the team is thinking about maybe using MIT’s LabelMe tool.